The final schedule of Tamil actor Thala Ajith's Vivegam is currently underway in Belgrade and is expected to wrap up the film by weekend. The film, directed by Siva is a thriller and stars Ajith. The film is the third collaboration of Ajith-Siva duo after the box office success of Veeram and Vedalam. In a recent interview to a leading daily, Siva has explained the similarities between Thala Ajith and Ilayathalapathy Vijay. "Hard work is the only reason for the successes of Ajith sir and Vijay sir. Both of them know their strength very well and they don't talk much. It is also one of the reasons for being on top". 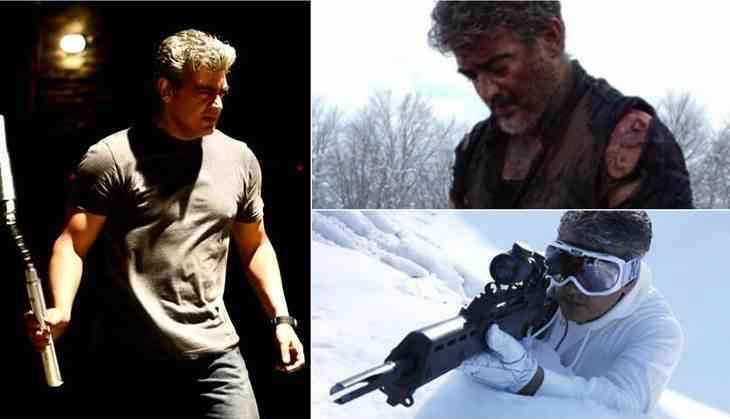 "Ajith sir's self-confidence is the oxygen of Vivegam. It's an international film with Indian emotions", Siva added. Vivegam stars Kajal Aggarwal in the female lead. The film also marks the Tamil debut of Bollywood actor Vivek Oberoi and Kamal Haasan's daughter Akshara Haasan. Vivek will be seen playing the villain in the film. Vivegam is scheduled to hit the screens worldwide on August 10.